Rick and Lora Lea Misterly have been farming in Northeastern Washington since 1981, during which time their dreams of farming have blossomed into a diverse farm, cheese business and school. 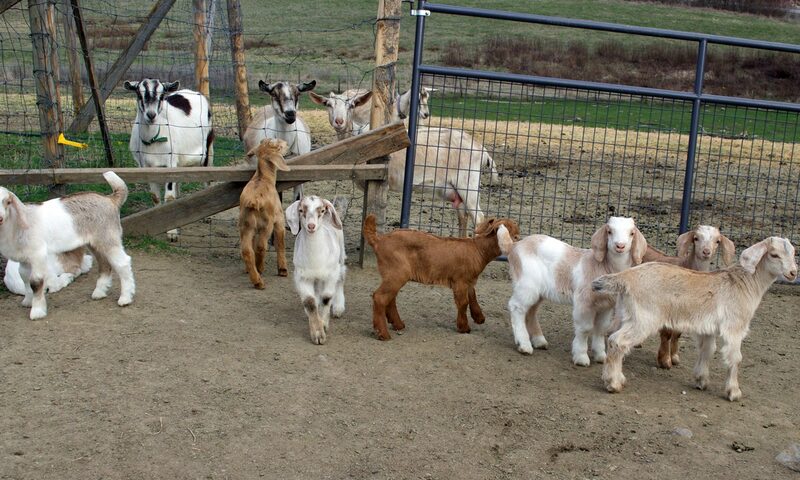 The Misterlys run a 36 acre farm, including an orchard and a vineyard, maintain and hand milk a herd of over 50 goats, and offer a variety of courses through their Quillisascut School of the Domestic Arts. The couple now markets their cheese to Seattle restaurants and grocers, works with culinary schools to provide students with “the big picture” farm perspective, and most recently has established a hands-on, multidisciplinary, immersion course in small scale farming. In 2001, Kären restarted the Seattle Chapter of Chef’s Collaborative (known locally as FORKS), she is a member of Slow Food, and a member and mentor of Women Chef’s and Restaurateurs. She speaks regularly at restaurant, seafood and agriculture functions. Kären has been the recipient of many culinary awards and accolades, and has earned a reputation for creating cuisine that is both artistic and delicious. She is the co-author of Rethinking the Kitchen, the sustainable kitchen handbook.